Stunning European style timber joinery made in New Zealand to enhance your home's function, energy performance, air quality and security. Total Windows & Doors is a Taranaki based, aluminium window and door manufacturing company which has been actively involved in the construction industry since 2006. We work closely with specifiers and clients to determine the best product for their requirements. Our aluminium joinery enhances the Architectural character of any building while being reliable, robust and adding value. We have the expertise and technology to take projects from architectural concept to completion with the emphasis on quality and functionality. 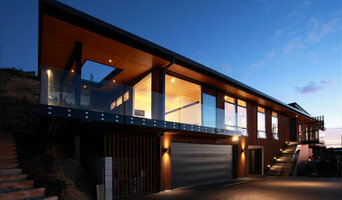 We are one of New Zealand’s leading aluminium joinery manufacturers. Our windows and doors are handcrafted in purpose built Design Windows factories throughout New Zealand. ALTHERM is a well known brand in the New Zealand building industry and has been an innovator in windows and doors for over 40 years. 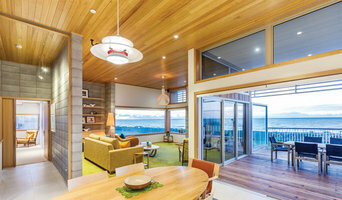 We have a strong following among homeowners, designers and builders throughout New Zealand. Windowmakers was originally established eighteen years ago as First Windows and Doors North Harbour. In 2002, it was rebranded to Windowmakers which is now one of the largest aluminium joinery manufacturers in the Auckland Region that produce custom made windows and doors. Windowmakers are dedicated to providing top quality products and a completely personalised service to our customers. Our business is a success due to our uncompromisingly high standards, our strategy of choosing to work with a select number of customers, and our long term relationships with our customers. Windowmakers aim to provide the ultimate service for our customers. We produce to the most exacting specifications and our stylish aluminium joinery products are capable of dealing with the harshest realities of the New Zealand climate. 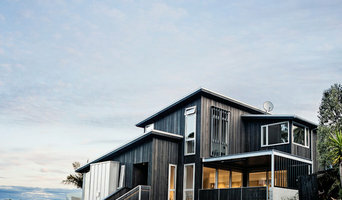 A specialist ALTHERM® Window Systems manufacturer servicing the greater Auckland area, Premier Aluminium Joinery provides a comprehensive, made-to-measure residential and commercial aluminium joinery service – including free quotations, technical advice and design, site measures, and replacement joinery. No two homes and locations are exactly alike – that’s why First Windows & Doors offers a wide choice in window and door ranges. There’s a carefully designed and engineered suite of products for every style and size of home – and for every exposure. The Design Line is a supplier and installer of quality, competitive, window furnishings to residential and small scale commercial buildings. We are locally owned and operated on Waiheke Island, NZ. We carry a variety of brands of blinds, curtains, shutters, offering the best brands available. At The Design Line we are able to offer the right window shades to suit your budget and lifestyle and have the experience and knowledge to advise you on the best options. We have been operating on Waiheke Island since 2008 and pride ourselves on being committed to providing a honest professional service to our customers. With more than 40 years presence in New Zealand, Vantage Windows & Doors has become the largest selling brand of windows and doors in the market. This achievement has flowed from hard work and attention to detail across the whole Vantage supply chain. The brand’s hallmark has been a readiness to refine, improve and modernise its aluminium profiles. 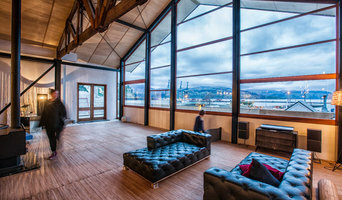 McCraes Blinds and Screens showroom and factory are locally owned and operated by Shane and Annette McCrae, who have been manufacturing and supplying custom made products to the Nelson area since 1994. Being located right here in Nelson, McCraes Blinds and Screens can give Nelson customers the advantage of buying direct and locally, offering great value and service at factory direct prices for a large range of products. Established in 1987, Opal Glass is a privately owned glass business offering custom made glass products & glazing services in Cambridge, Hamilton and the greater Waikato region (including Coromandel, Bay of Plenty and the King Country). As professional glass specialists, we aim to provide quality workmanship, efficient service, and delivery of products on time every time. If you have any questions about your glass requirements or you'd like a free quote or an onsite consultation, please contact one of our experienced glazier team. We provide all your joinery needs for renovating or building new, from timber windows and doors to kitchens and stairs. LOCARNO Louvres designs, manufactures and installs premium aluminium louvres in a wide range of customised applications for the residential and commercial markets. With significant experience in high end architectural projects, we work closely with architects, builders and home owners to design a bespoke product which is both functional and aesthetically pleasing. LOCARNO Louvres are proudly made and designed in New Zealand. Ensuring our commitment to quality and sustainability, all products and services used are sourced locally in New Zealand, with the exception of superior European motors. Even our aluminium louvre profiles are manufactured and extruded in New Zealand. Window specialists can recommend the most suitable type of window for your home, whether louvre, leadlight or sash, and will advise on the best positioning for style, function and energy efficiency. They can also survey existing windows for rot, improper sealing, worn hinges, and foggy double-pane glass, and will tell you whether or not a window replacement or upgrade will be necessary. The professionals in this category are also knowledgeable in sliding doors, bifold doors, French doors and other paned portals. Your window specialist may also work closely with builders and architects. Here are some related professionals and vendors to complement the work of windows: Shutters, Blinds & Curtains, Building Project Managers, Home Builders, Specialty Contractors, Cladding & Exteriors. Find a window professional on Houzz. Narrow your search in the Professionals section of the website to Windows. You can also look through Photos to find examples of windows you like, then contact the professional who is responsible for them.